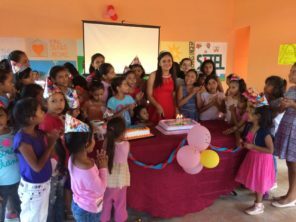 Another girl in our hogar reaches the dizzy heights of 15 years old, the equivalent of being ‘grown up’ in Central America. We had a small party for her at the home. Sor Ligia made an appearance in the frame.